If you know me you know I try all sorts of foods that are, ahem, not commonly heard of, and the latest nutrient dense ingredient on my radar is prickly pear cactus! If you live on the West Coast you may be like “OK girl old news we all eat it”, but all of us from the Midwest to the East Coast may not be privy to the uses of prickly pear. Prickly pear is a vibrant fruit that grows on a cactus and is SUPER popular in Arizona – I know from my recent trip to my cousin’s wedding in Tuscon! I kept on running into locals who were talking about prickly pear and I was consistently seeing it on restaurant menus and in various stores. So of course you know my ears perked up and I wanted to learn more about this fruit and why people love eating it so much. Here’s what I found! Prickly pear contains so many great vitamins and minerals that give us beauty boosting, immune boosting, and all other sorts of health benefits. To start, it’s packed with vitamin C to help boost up our immune system, potassium, iron, magnesium and calcium which are essential to help regulate our energy, relaxation, water retention and more. Its antioxidant content includes betalains, flavonoids and polyphenols which help with so many various bodily functions! Wellness benefits of prickly pear. Skin health: There are so many properties in prickly pear that help keep our skin looking youthful and glowing. Vitamin C and antioxidants help protect our skin from damage, and help diminish sun spots or acne scars. It has also been linked to help promote collagen production which diminish fine lines and keeps our skin elastic. Promotes healthy immunity: Again, due to its vitamin C content, prickly pear can help keep your immune system kicking! 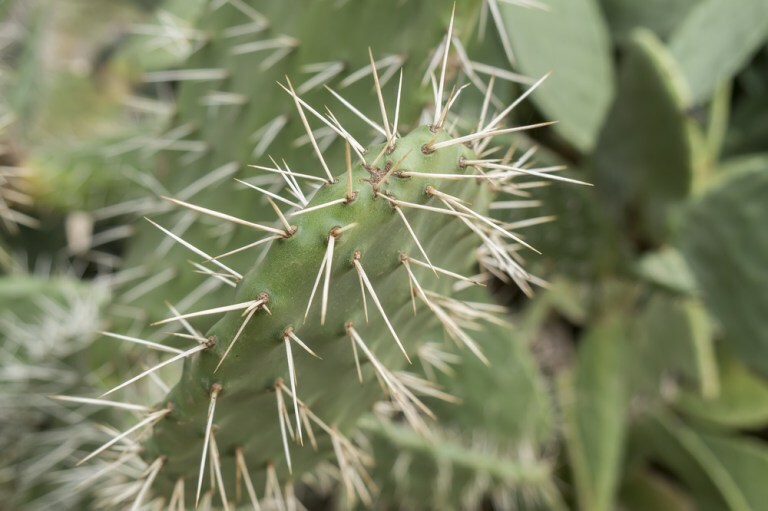 Prickly Pear has been shown to have more than a third of your daily requirement of vitamin C! Hydration: This fruit is rich in electrolytes like sodium, magnesium, calcium and potassium. We need these electrolytes specifically in larger quantities when we are sweating a lot, such as during an intense workout or in the summer if we are outdoors for an extended period. These electrolytes help re hydrate our body – AND help us regulate water retention! Because of this, prickly pear is also great to consume post workout, and it is also known to help rebuild and recover our muscles. Anti-inflammatory: because of its antioxidant content, it helps fend off inflammation in the body. We all know that inflammation can show up on our skin in the form of fine lines, blemishes and skin irritations so it’s important to consume foods that help combat the effects of free radicals. Helps digestion: Due to its dietary fiber content, prickly pear helps ease constipation and regulate our digestive tract. It’s even been known to help with the sh*ts (real talk, sorry). May help with hangovers: One thing I can’t wait to try once I’m no longer pregnant or breastfeeding, using prickly pear for hangovers! Some experts believe that prickly pear helps prevent hangovers by protecting the liver from alcohol and its toxicity. Some studies have shown that those who consumed prickly pear about 5 hours before they started imbibing greatly reduced hangover symptoms such as upset stomach were greatly reduced. How to eat prickly pear. The most common ways to consume prickly pear is by adding the extract or nectar to your morning tonic, or in additional recipes. You can use prickly pear puree in your smoothies or make homemade jelly. You can add prickly pear marmalade or jelly to your toast, waffles, or in any type of healthy baked good. You can sip on herbal prickly pear tea and create special tonics with it. But a word for the wise – be careful!! There have been some side effects such as individuals experiencing diarrhea and stomach troubles. So as with ANY type of new ingredient – start very slowly or consult your doctor first! Next ArticleExperiencing Anxiety? Try These Essential Oils.